It may be a bit of an obvious platitude but it is one that's difficult to avoid when describing popstar-in-the-making, Florrie Arnold: she's the whole package. It may be a bit of an obvious platitude but it is one that's difficult to avoid when describing popstar-in-the-making, Florrie Arnold: she's the whole package. Consider the evidence - an accomplished drummer, guitarist, singer-songwriter and model, she looks the part, sounds the part and acts the part. On stage she's an electrifying performer - you can't take your eyes off her and you can't stop your feet from tapping along to her above-par songs. At merely 25, Florrie has already worked with some of pop's most prominent names including Pet Shop Boys, Kylie Minogue and Girls Aloud as hit factory, Xenomania's in-house drummer. Separately, she's released four EPs of her own material and enough songs to fill two long-players. At the same time she's also undertaken a modelling contract, which included a lucrative spot fronting fashion powerhouse, Nina Ricci's campaign for its Nina L'Elixir perfume (she performs a cover version of Blondie's 'Sunday Girl' in the advert). It's no wonder, therefore, that it's taken Florrie a while to complete her first full-length album but complete it she has and now she finds herself in the privileged position of being signed to a major label (Sony) and having to narrow down an almost 20-strong collection of album contenders to about two thirds of that for release some time in the - hopefully - near future. With there being practically no stinkers in her already extensive discography, we're predicting her looming debut to be a pop magnum opus. The 405 catches Florrie in the midst of her rehearsals for a headlining gig at Oxford Street's 100 Club. 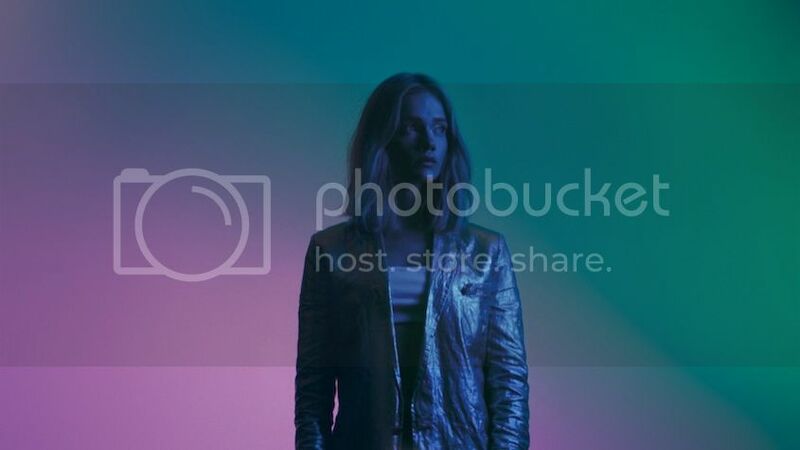 The show is scheduled in support of her just-released fourth EP, Sirens, and Florrie is decidedly excited about the new songs, which she'd been itching to release to a patient fan-base. We begin by talking about her first foray into music, at the tender age of 7. "I was on a family holiday and saw a drummer in a little cafe we went to one evening and I was completely sold on it from that moment," she says. "I nagged my parents for a drum kit for about the next year and that's how I got into music. My dad plays guitar and was in bands when he was younger, so he was really encouraging and we would jam together." She then started a band, FiFi Saloon (originally named The Custard Creams), in secondary school with two other girls. "It was a kind of girl rock-pop band", she says with a chuckle. "We'd write songs and do covers of Avril Lavigne, like really trash, punky girl rock-pop. I then left school at 17 and moved up to London with another band, Self Service, and we ended up signing a development deal with Guy Chambers - this was as a drummer - and I then spent 18 months just gigging every other night but also nannying. It was quite weird looking after little babies in the daytime and then playing these grungy pubs at night." Things with Self Service didn't work out and Florrie ended up leaving the band. "Two weeks later I got a call from a manager whom I'd randomly met at a lawyers' office when I'd signed the development deal. He remembered me from that time and said he had a friend - [Xenomania's] Brian Higgins - who was looking for an in-house drummer down at his studios in Kent. So I met Brian a week later, went down to the audition on the Friday and then started on the Monday as the drummer." At Xenomania headquarters Florrie also met pop masterminds Miranda Cooper, Annie Strand and Fred Falke and got involved in some exciting projects from the off. She says: "I spent a lot of time drumming on the records they were making like Girls Aloud's 'The Promise' and the Out of Control album and also Pet Shop Boys and Kylie. It was a bit of a mad whirlwind but it was amazing. I was also getting into the song-writing side of things and writing lyrics for other artists. Fred and I would work on songs together and he later also remixed some of my tracks. At first I was mainly writing for other artists and demoing the tracks but, essentially, as I've sung all my life and done backing vocals as a drummer, when I was writing these songs at Xenomania I thought to myself, hmmm I'd really like to do my own songs." Her first solo release was a free single titled 'Call 911'. "I just chucked that one up online with a still photo," she says. "There wasn't a grand plan. I was writing a lot of stuff and wanted to see what people thought of it and it made sense to just put things online and get people's feedback. I was very lucky in that a lot of people got into 'Call 911' and I then decided to do an EP. I never really looked beyond three or four months forward. I knew that I wanted to do something but I'd seen several artists sign to major labels and get that backing and then things would go wrong for different reasons. So I wanted to get my music out, build the fan-base and go and play lots of shows and perfect my art. That was really important to me. My first EP was free for that reason, to get people into what I was doing." That first EP, Introduction, was a whopper of a calling card. It had the hallmarks of a Xenomania classic with the finesse of a seasoned production. The immediate standouts on this no-filler debut were the drumboat/dreamboat exhilarator, 'Give Me Your Love', and dance-ballad 'Left Too Late', which takes Girls Aloud's monster hit, 'Call The Shots', as its sonic inspiration and injects it with an extra layer of heartache. "To have had that time and freedom to get everything to where I wanted to be, rather than rushing things, was really important." Introduction was followed by a second EP, Experiments, which had six more attention-grabbers to add to the Florrie repertoire. On Experiments (which borrowed its name from a track titled 'Experimenting With Rugs') the sound was richer and much more varied than Florrie's earlier tracks. You could still hear the Higgins & Co. blueprint embedded in there but, true to its name, the EP experimented with other facets of pop and nominated Florrie as the obvious next big thing from Xenomania's hothouse of hits. Shortly after this release in June 2011, there were a couple of offers for recording contracts from labels both here and in the U.S. but Florrie decided to take her time and wait. "I thought I should keep doing my own thing for a while," she says, "keep releasing material, keep building the fan-base and get people on my side. I was experimenting with a lot of different sounding stuff and I really wanted to feel ready to step it up." Was she not tempted to grab the opportunity of signing a record deal there and then? "I felt that there were more things I wanted to learn before I did that, like how to do the live shows better and work on my song-writing. I think I just wanted to put out the work that I was doing and the stuff that I was writing as it was happening. I wanted to put out the best of what I had. I didn't necessarily look beyond each EP and I was also really lucky to have the Nina Ricci campaign and the modelling contract, which allowed me to spend money on my music. It obviously costs money to do gigs and promo and also to go into the studio. So I was really lucky in that sense." Fast forward to 2014 and, on the other side of a hectic few months in the studio, it seems as though all the hard work is about to pay off. "My album is now finished and I am so happy with it," she says with delight. "So to have had that time and freedom to get everything to where I wanted to be, rather than rushing things, was really important." But Sony is not quite ready to launch the album campaign just yet. Before that happens there's Sirens to promote and - seeing as its release comes almost two years after Florrie's last EP, Late, back in May 2012 - there is the matter of re-acquainting people with what she's capable of. "With this EP, I just really wanted to get something out there because there has been a gap since my last release. You know, I have spent a lot of time in the studio finishing the album and that is something I really wanted to do by the time I started putting stuff out, so that I have the time to keep it going and there wouldn't be any more gaps. So the next thing I release will be a single and then probably another couple of singles but this will be my last EP. So, in a sense, I guess it's the start of the album campaign." I ask whether she is likely to revive any of her older tracks on the album. "I'd really like to," she says. "There are songs like 'Give Me Your Love' and 'Left Too Late' that I still play live. I love playing them and people really love them as well so it makes sense. But I have narrowed it all down to 18 potential album tracks and that's including a few from the previous EPs, which I have re-done. Well, the first EP was about four years ago so I have done a new vocal on a few of them and I'm excited for people to hear the new versions." We turn to Sirens, which is somewhat of a departure from Florrie's previous EPs. It is, perhaps, a little bit less immediate than past releases but it also expands the musical popscape which she explores. Lyrically, it is a much simpler, more minimal affair than the songs EPs 1-3 offered but, notably, when we see Florrie play live at 100 Club, the new cuts really come to their own and gain an additional zest. The EP opener, 'Seashells', would not be out of place on drama school syllabi, filed under Tongue Twisters. "He sells the sea-shells you say no," Florrie chants the incantation and the middle-eastern beats sweep you in an instant. "That was quite a happy accident," she says. "I was singing along over this crazy backing track which was very simple and started with that beat. There was something about it which was so different and that I really loved. That whole guitary feel just hooked me. I'd never done anything like it before and it felt right to start the EP with it. I love mixing the electronic with the live drums when we perform it live." Despite 'Seashells' having a repetitive structure and very little lyrical variety, it is credited as having been written and composed by about seven different writers. When I mention this to Florrie she chuckles and explains: "I think it's difficult to understand it when you're not behind the scenes or at the studio but there are, often, a lot of people in the studio who I work with, including also the guys in my band. Sometimes I write on my own or sometimes I write with Annie who plays keys in my band and then sometimes we'll do a jam session, where there are a lot of people in the room. If you contribute to the track in any way then it's only fair that you are credited as a writer on it. A lot of people don't work like that but I think it is the fair way to do it, because the point is that the track would be completely different if that person wasn't there. So I know it looks baffling but it's not just about the lyrics - it's also the music and the production. I work with one of the engineers in the studio, Toby, and we'll just lay down millions of different ideas, guitar bits, synths, overdubs and then one of those might end up going on the track in the end, so a lot of love, time and attention is spent on it. I'm sure there'll be a track one day with about 15 writers on it," she laughs. I ask whether she thinks this way of working is a result of her collaboration with Brian Higgins and Miranda Cooper, who are well known for their collage-like way of writing songs. "Yeah, I do think so," she says. "When I arrived at Xenomania at 18 or 19 that was a whole new thing for me, because before that I had just written songs on a guitar with a top line and a lyric at the same time but suddenly this whole new way of writing opened up and it was amazing because you can get everything out creatively and then go back and pick the best bits. It's difficult to explain but there are so many different sections to a track, which can be written weeks apart. Some of them come together really quickly but with other ones I can spend five or six weeks just getting a verse or a lyric. It's a nice way of joining everything up together in the end." Another track on the EP is 'Free Falling', which was one of the quickest songs to write. "The hook is that bassline which has a real bounce about it," she says. "For me, that was one where I just put the bassline and the beat on a loop and wrote over it for ten minutes and that was it - all the other parts came from that part and the whole thing was finished in about four or five days, so that was a quick one. I worked with Owen Parker [who plays keyboards on and programmes many of Xenomania's productions], who comes down to the studio a couple of times a week and he is the most incredible keys player and guitarist. Sometimes I write with him and we would jam together or he'll come up with notes that no one else would think of but somehow work [she laughs] and that's what we did on 'Free Falling'." With a major label's financial backing this time round, Florrie has been able to create visuals for three of the tracks on the EP and the videos have emerged one by one over the past few weeks, with the latest, 'Wanna Control Myself' being Florrie's favourite. "We shot it over two days, one in London and one in the country side", she recalls. "I got to drive around in a car, which was exciting as I'd only just passed my driving test, so it was a novelty. I guess that video was also me having a go at acting at the same time rather than just doing a band-based performance. It has an actual storyline." In closing, I ask Florrie whether we are likely to get the album this year and she thinks about this for a short while. "I hope that it will be out towards the end of this year... but you never know," she says and laughs. "I have actually picked the first three singles but we are just thinking about the order of releasing them at the moment. Not sure which one to do first. It's funny being signed to Sony now - it's like a whole other world has opened up in terms of things I never even thought about before - suddenly learning about how to market myself a bit more and being able to put a bit more money into putting my music out there, which is really good." Based on what we've heard from Florrie so far, we reckon it would be impossible for her to release anything other than one of 2014's (or, let's be honest here, it's more likely to be 2015's) best pop albums. And it's strange - certain artists are described as having that elusive je ne sais quoi - a phrase which is difficult to define yet you know it when you see it or hear it. Either way, we think Florrie is a quintessential embodiment of it. Sirens is out now on Sony Music.